I hope you all had a wonderful, long weekend. My hubs was out of town, so my papa came to visit me from Wisconsin for a M-A-D weekend (Meghan and Dad). We didn’t do anything overly exciting – ran errands, made a few repairs, watched a movie, did some cooking. Sunday night we went out for pizza with a few friends, mostly so he knows that I have friends 🙂 But overall, it is always so nice to just hang out with my parents without an agenda! 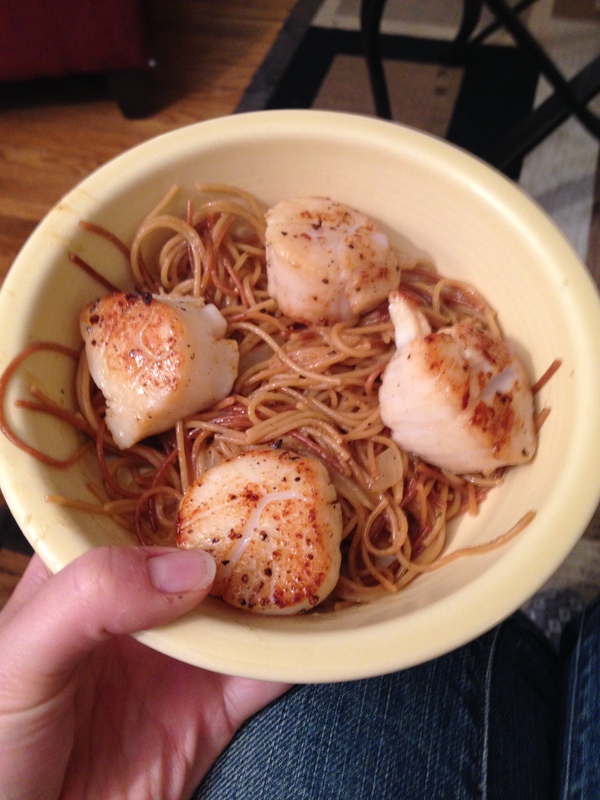 Of course, we made a costco trip, where we bought some delicious scallops. Seriously, SO GOOD! Dad cooked them up for us with “fried spaghetti,” and although I don’t want to know how much butter he put it in it, it was entirely delicious. 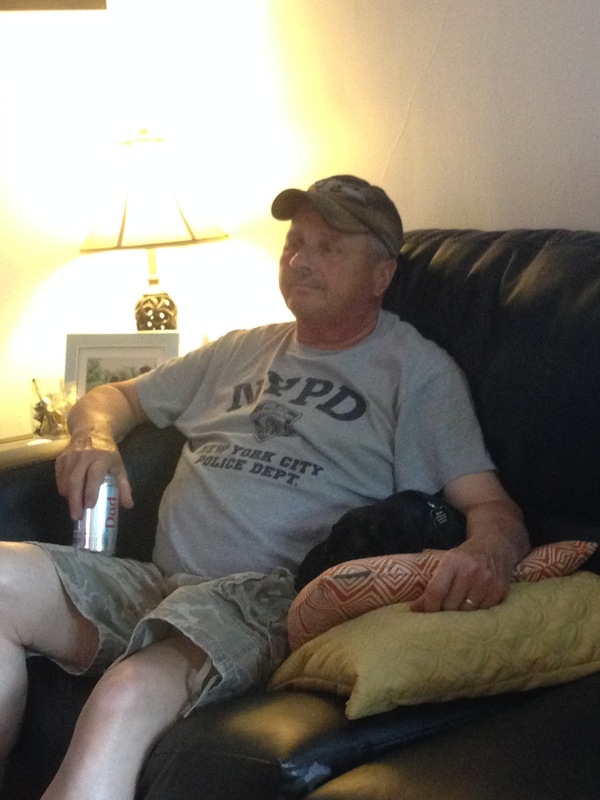 Ryman LOOOVVVED my dad, and was constantly snuggling up to him on the couch. Sorry for the fuzzy iPhone photo. All in all, it was a relaxing and productive weekend, with beautiful weather. After he left on Monday morning to drive home, I spent the afternoon at a friends…More on that, plus a delicious margarita recipe, tomorrow!